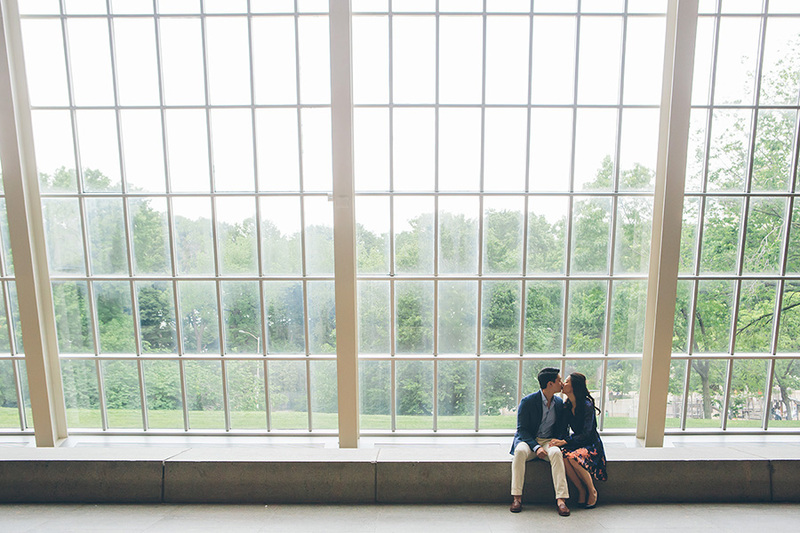 Linda and Daniel recently moved to NYC and wanted to immortalize their time here by getting married in NYC! 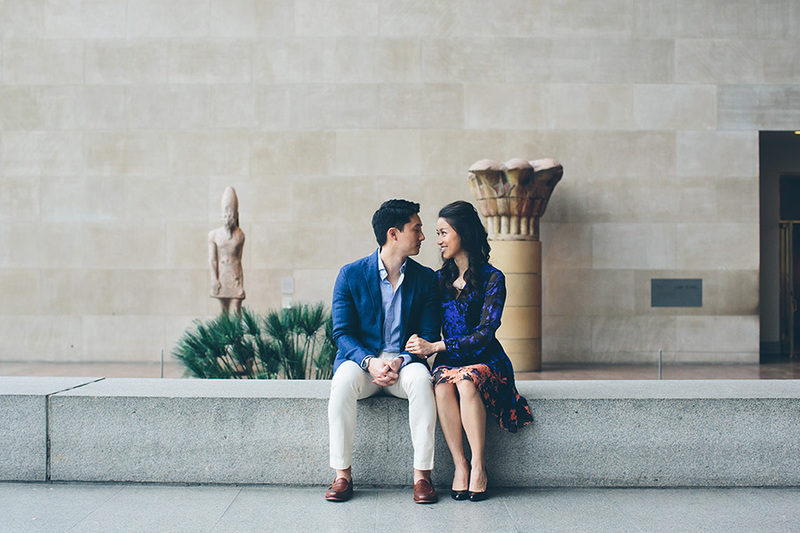 So when we talked about where to do their engagement session, Linda definitely wanted to incorporate the Metropolitan Museum of Art and Central Park! 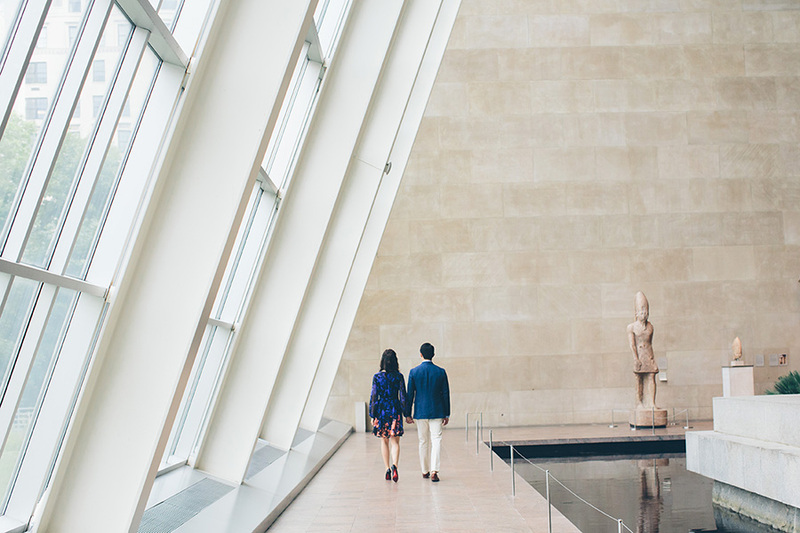 It was great to get some gorgeous shots inside the room of The Temple of Dendur at The Metropolitan Museum of Art in New York City. 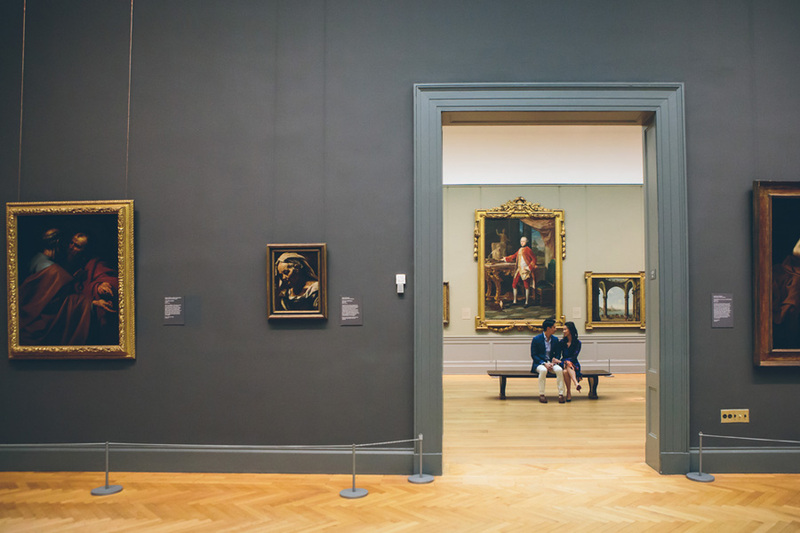 It’s such an iconic new york city spot and a place that had beautiful lighting. 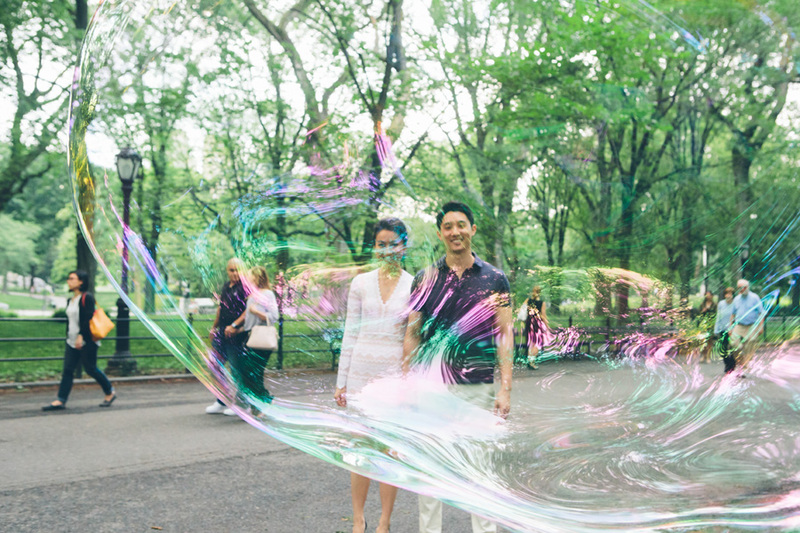 I think the highlight for me on this shoot was meeting the bubble man and having him teach us how to make HUGE bubbles in Central Park!! It was also really cool to have him create a huge heart bubble to encompass both Linda and Daniel!! Such a cool experience! 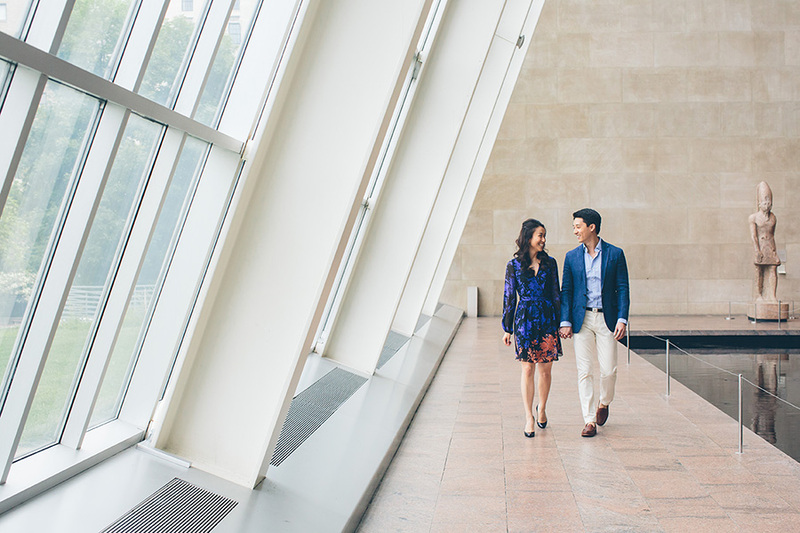 I’m glad they chose me to be their new york city wedding photographer! 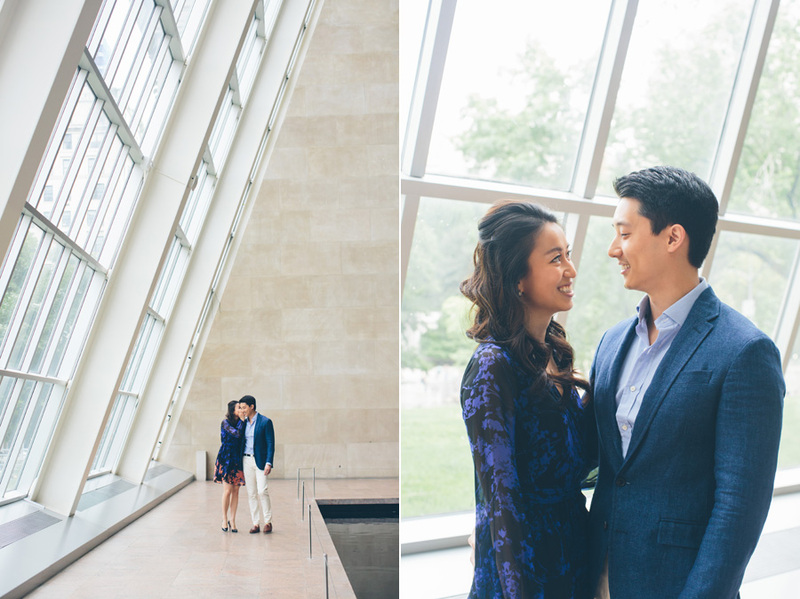 I am also shooting their gorgeous wedding next fall!